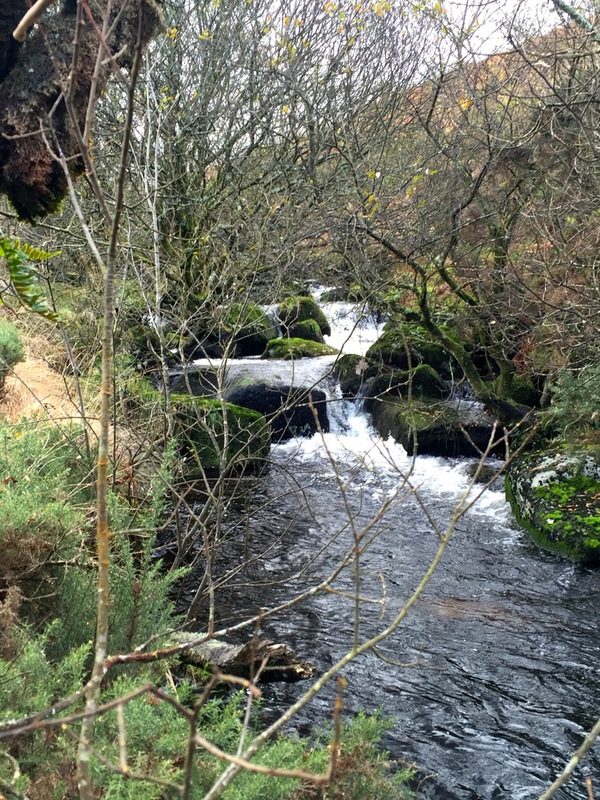 Skir Hill Trail – Maintenance, Hints & Spoilers! 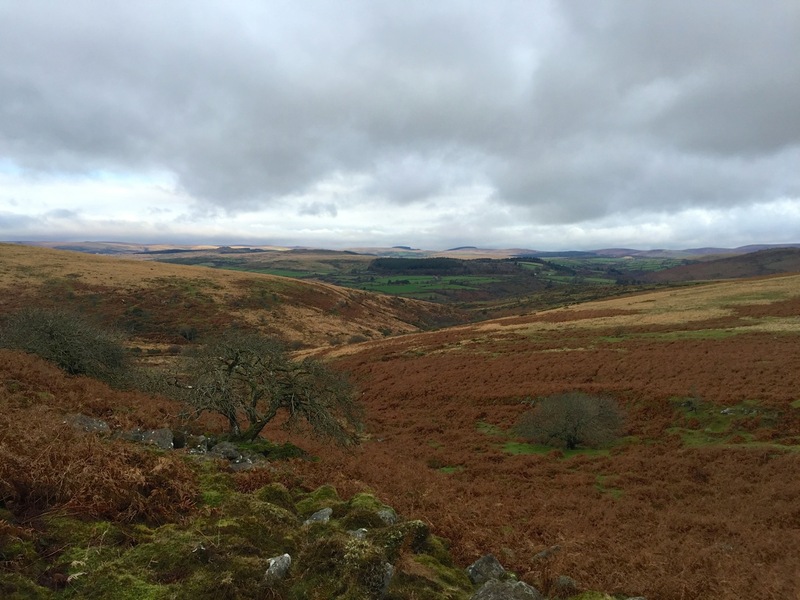 Thirty five consecutive DNFs on just six Skir Hill Trail caches made me think it was time to take a look! 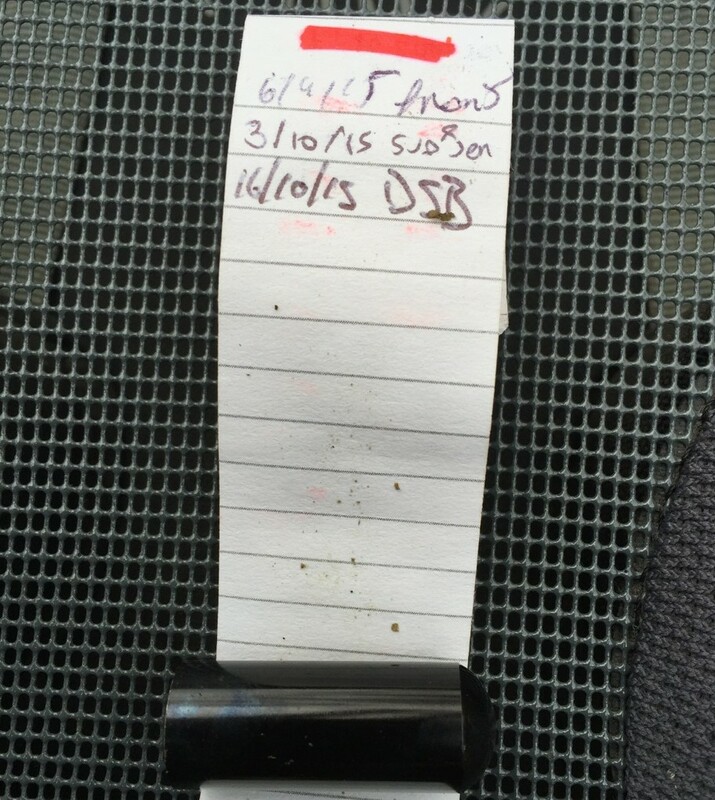 A spot of maintenance was clearly needed – or was it? This is the story of today’s walk up the O Brook and on to Skir Hill. 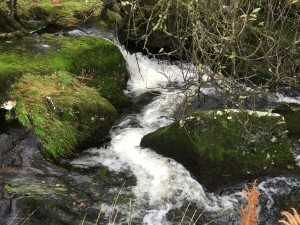 The caches which have been causing problems are those along the brook which requires multiple crossings. 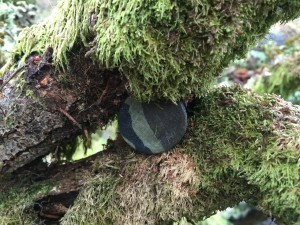 Many times there have been several consecutive DNFs, but almost always the caches have been there. Would today be different? I splashed up the path to No 2 which was clearly visible metres away despite 5 consecutive DNFs, not to mention the cachers’ path which is gradually forming! 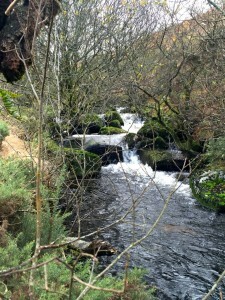 Up stream to No 4, which may well be missing, as this is an easy find in plain view and has disappeared before. 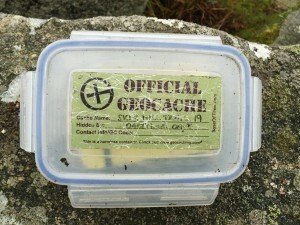 But, it had gone so a new cache placed in a slightly more secure location – hopefully it will stay there. No 6 is another easy find in plain view and rarely gives any problems. It’s hanging about knee height and you are looking for this (photo left). So far only one cache missing, which was much as I expected. Up the valley towards Skir Hill and the first stop is at No 5 with 6 consecutive DNFs. But I couldn’t find it either. 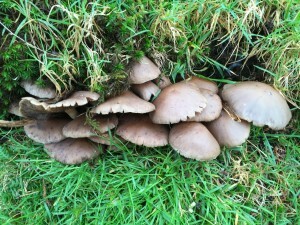 I was certain I knew where this was but there was a beautiful clump of mushrooms growing there! But it was there, the mushrooms had grown up and hidden it. I’ve now moved it away from the mushrooms, but once again it is in plain view. In case you are wondering what you are looking for, both No 8 and No 5 are the same type of cache and look like the photo right. 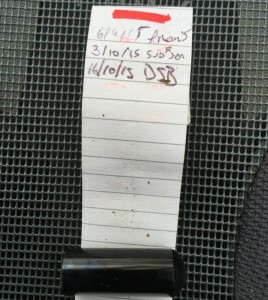 The replacement cache was in position for over 4 months before it was found and had 9 DNFs before FTF. Currently it has 4 DNFs, but once again I was sure that it would be there and it was! 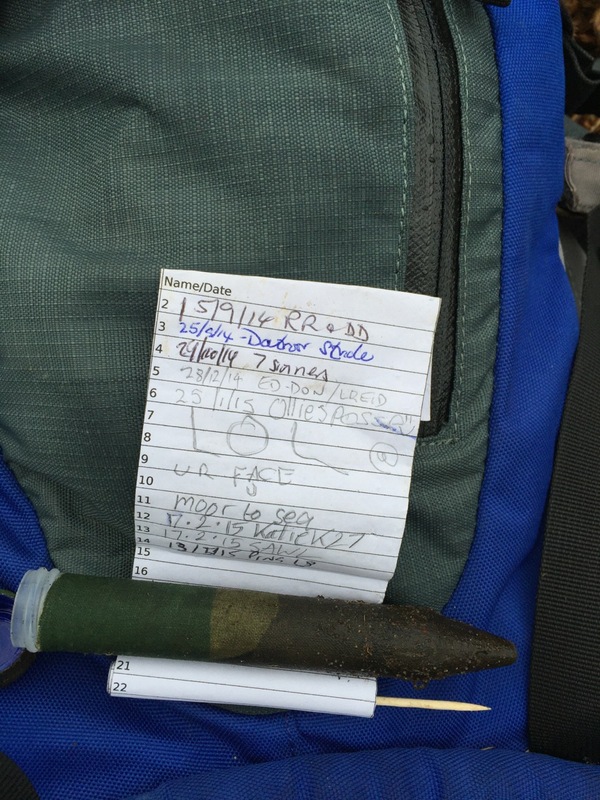 No 7 (Replaced) still has more DNFs than finds but once again I checked the coordinates and they are spot on. 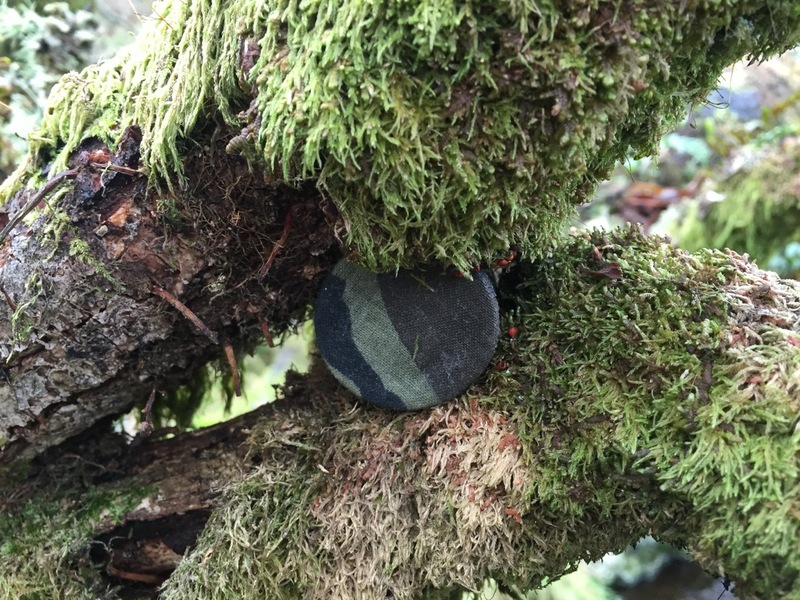 It’s just a normal “small” cache under a rock – you just need to find the right rock. 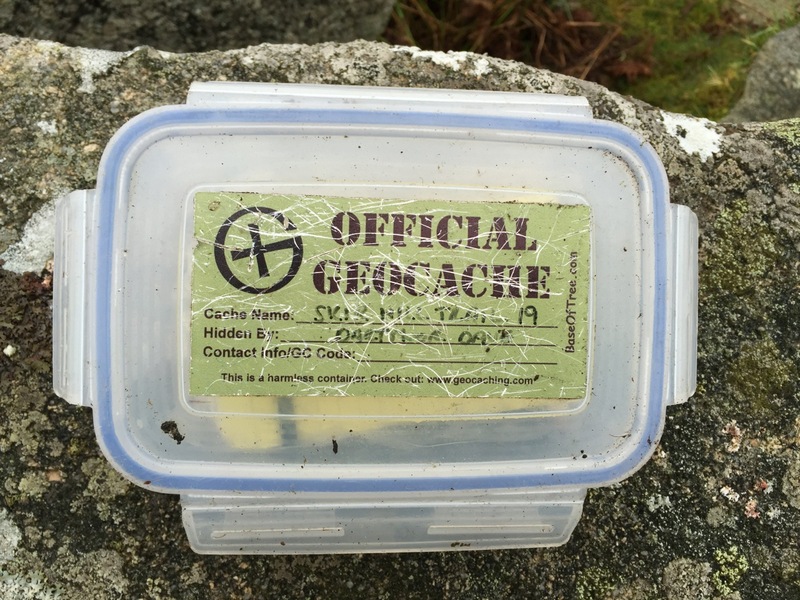 The last cache to be checked on the Skir Hill Trail today was No 19. This is situated in a clitter field with numerous hides and has caused a few problems since it was placed, but as expected I soon found it. 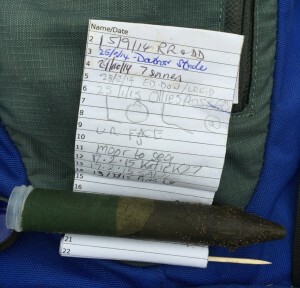 I also have to search for these caches, because if I had taken a spoiler photo I didn’t have it with me. It is a 900ml box, so not small and it hadn’t even been well hidden and I soon spotted it poking out! Once again I checked the coordinates and they are spot on! 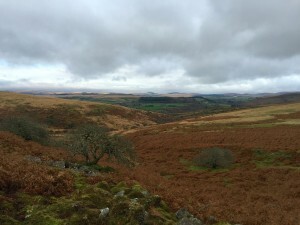 Previous Previous post: Black Friday Comes to Dartmoor!